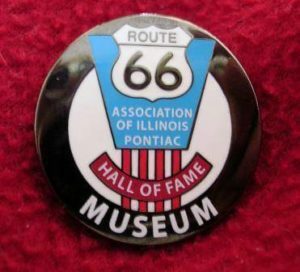 To qualify for election to the Hall of Fame, nominees must have made significant contributions to the character or history of the Illinois portion of Route 66 from 1926 to 1977 while it was an official United States highway in the State of Illinois. Thank you for taking the time to nominate a person or place to the Hall of Fame, that has contributed to the education of others and/or promotion of Rt.66 in Illinois. Anyone may nominate, but self-nomination is not permitted, and those currently on the HoF Committee are not eligible. Induction is considered an honor and there is no absolute right or guarantee of induction. No Association member shall be held liable for not selecting any nominee. All material submitted to the committee shall become property of the Association unless stated otherwise. Who is/are this (these) person (people)? Where is the nominee located? Is the nominee living? If not, are family members still around? Are the nominee and/or family members involved and supportive of this nomination? If the nominee is a structure – Is it still standing? What is it being used for? What is the nominee’s connection to Route 66? How did the nominee contribute to the historical status of Route 66 in Illinois? educate-promote Route 66 in Illinois? Provide a timeline of the nominee’s life and connection to Route 66. Was the nominee born on Rt. 66? Did the nominee live on Rt. 66? If the nominee had a business on the highway – how is it connected to Route 66? What has the nominee done to be worthy of consideration for the Route 66 Hall of Fame? Is there anything unique or unusually special about this nominee on Route 66 in Illinois? Is the nominee’s contribution considered exceptional? In what way? Do you have photos and/or other memorabilia from this nominee that clearly establish the connection between the nominee and Route 66 in Illinois? This could include newspaper articles, magazine articles, etc. If so please submit some of them or copies of them. Do you have any letters of support for this nomination? If so please submit them. Establishing a connection to Route 66 in Illinois is very important in this annual selection process. Your application will be judged by comparing your nomination to others who will be presenting similar documents and material. If a nominee is not selected the nomination is held for two more years and reconsidered each of those years. Click to download a printable list of Hall of Fame Nomination Guidelines.